The Super Skinny Cabbage Soup Diet Plus! is available on Kindle or you can download it to your computer with Amazon’s FREE Kindle application for PC. Wow! Get ready for the absolutely best crash diet on the planet!!! Yes! In as little as one week, you can lose up to 20 pounds of unwanted, ugly fat…Guaranteed! The Super Skinny Cabbage Soup Diet Plus! has taken the outdated Cabbage Soup Diet and Super Re-Charged it, Super Re-Vamped it and Super Re-Skinnyed it so you can lose more weight than ever! From the latest scientific research, it has been proven that certain foods are super fat flushing, super fat burning and super fat blasting! The Super Skinny Cabbage Soup Diet Plus! uses these miracle foods to develop Super Skinny Soups, Super Skinny Vegetable Salads, Super Skinny Fruit Salads, Super Skinny Fat Flushing Waters and Super Skinny Fat Flushing Teas! The original Cabbage Soup Diet had you stuck with just one soup recipe that was great on day one, but by day three you couldn’t face it. The Super Skinny Cabbage Soup Diet Plus! solves this problem of boredom by revealing a wonderful collection of delicious, nutritious, absolutely fabulous Super Skinny Soup Recipes, Super Skinny Vegetable Salad Recipes and Super Skinny Fruit Salad Recipes that are even more effective for weight loss than The Original Cabbage Soup Recipe! You’ll never be bored, you’ll never be hungry and you’re going to lose weight like crazy on The Super Skinny Cabbage Soup Diet Plus! Get started today and get Super Skinny in just one week! The Super Skinny Fruit List – Revealed! The Super Skinny Vegetable List – Revealed! The Super Skinny Protein List – Revealed! The Super Skinny Grain List – Revealed! Super Skinny Calorie Free Salad DressingsThe Super Skinny Cabbage Soup Diet Plus! is available on Kindle or you can download it to your computer with Amazon’s FREE Kindle application for PC. During the weekends when things are a little slower in my home, I have been making meals with several veggie side dishes. This Cabbage Orange Salad is one of our favorites. Easy to make, full of satisfying flavors and a burst of gorgeous color, it’s the perfect dish for any winter table. 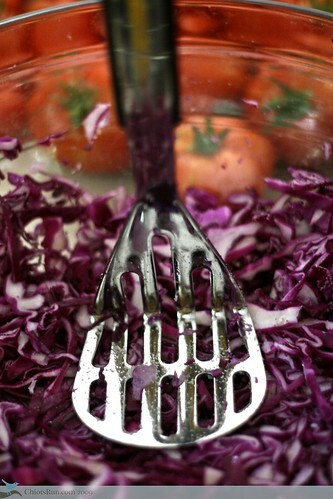 I’m posting about making sauerkraut over at Simple, Green, Frugal Co-op so I wanted to add a few photos of purple kraut as well as some of my regular green kraut. This kraut was made earlier this summer and I canned it for winter eating.